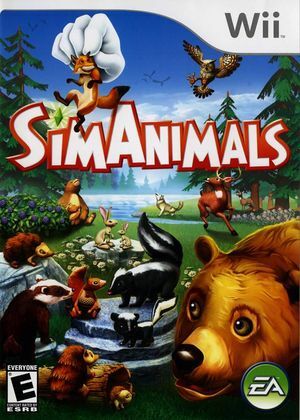 In SimAnimals, embrace all the adventure, fun, and mischief that await you in the vast forest. You have the power to reach out and touch, pick up and move everything in the forest from squirrels and foxes to trees and flowers. Make your wild animals happy and maintain a forest that lets them flourish as you venture further into the forest than you've ever been before! Engage with a forest full of wild animals including bears, rabbits, hedgehogs, badgers, and owls. Solve challenges, and uncover one-of-a-kind objects as you journey deep into a forest that you control. Specifically on Wii, experience the forest with your pals by playing cooperatively with up to four players at the same time. Get ready to run the wild in SimAnimals. The graph below charts the compatibility with SimAnimals since Dolphin's 2.0 release, listing revisions only where a compatibility change occurred. This page was last edited on 13 January 2018, at 13:31.